The film integrates various types of artist manifestos from different time periods with contemporary scenarios. 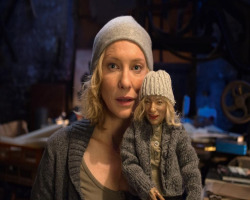 Manifestos are depicted by 13 different characters all performed by Cate Blanchett. Note: Public Invitation. The film will be followed by a discussion. Suitable for viewing by persons 17 years of age and older. No kids allowed.